Enrich the community by providing reliable public seating. 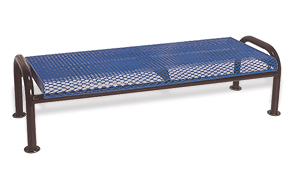 Friendly, accessible and resilient this expanded metal backless bench is built for superior performance in high traffic areas. Combining high strength steel fabrication with the most modern finish coatings ensures long-lasting beauty. Manufactured from 3/4" #9 steel expanded metal, 2-3/8"O.D. steel tube frame and reinforced with 3/16" x 1-1/2" flat strip. Engineered with smooth, rounded edges increasing the safety and comfort. 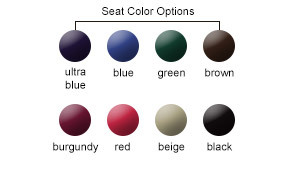 Available as a stand-alone or with a sectional add-on. Your choice of in-ground/surface mount or portable frame style.